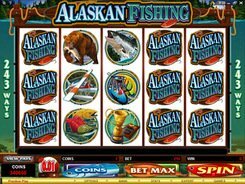 Do not miss a chance to hook fish trophies and lucrative wins in the Alaskan Fishing slot released by Microgaming. 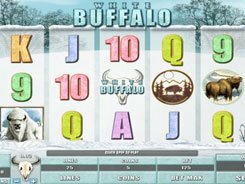 The five-reel machine is based on a 243-ways betting pattern, not a traditional payline system. A coin size is adjusted between $0.01 and $0.05. 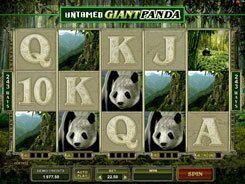 The maximum stake allowed makes up $15, and the highest coin payout is 500. 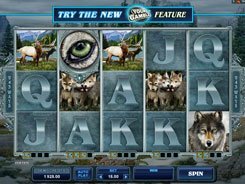 The first jackpot in this emulator is granted for five wild symbols (Alaskan Fishing Logo). This is a typical low-volatility slot meaning that the payouts are not high but very frequent. 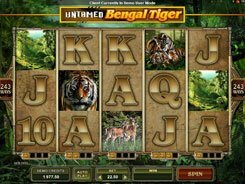 Besides, the game features a bonus round and 15 free spins with all wins doubled. Fisherman symbols dropped on reels 1 and 5 simultaneously trigger the Fly Fishing Bonus. 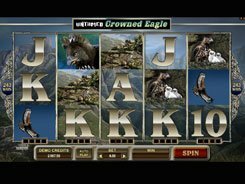 You are given five attempts to catch a fish, with each successful cast paying out a cash bonus between x2 and x15 times your overall bet.